GPS Tracking helps you check, protect and better use your vehicles. See where you’re vehicles in real time as they’re driving around. You can also zoom in and out and create reports to help reduce your administration and as proof of arrival for your customers. It is available in three forms; Installed GPS Tracking, Portable GPS Tracking and Tracking on your mobile and iPhone. “With AutoAlert GPS Tracking, its like a window has opened on my world. David, D Perfect & Sons. This is our top of the range unit, ideal if you really want to know what is going on with your vehicles. It allows you to optimise their usage, comply with working time regulations and cut costs such as fuel costs. The unit continually transmits its location when the ignition is switched on. This allows you to watch your vehicles location as it moves around. You can also get in-depth reports about what your vehicles have done. Reports include driving times, working times, stationary times, idling times, routes taken, speeding and many more. AutoAlert‘s installed GPS tracking is ideal for more complex transport businesses where you can make real savings and efficiencies from optimising your vehicles use. Our portable device requires no installation. Its quick and easy to set up and can be transferred easily between vehicles. 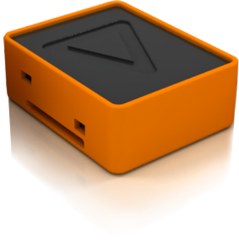 AutoAlert’s portable GPS tracking unit can be charged in an hour and provides continuous tracking for a couple of days (depending on environmental conditions). Alternatively, plug the unit into your cigarette lighter or install in your vehicle. Simple reports are available such as activity, speeding, geographic alerts and routes taken. 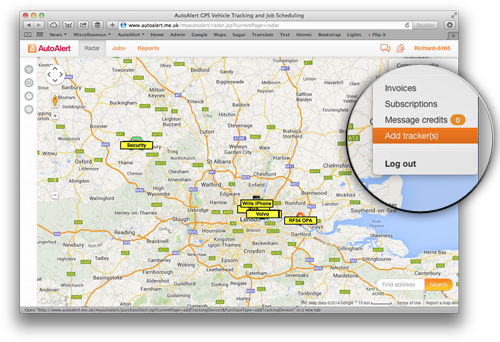 AutoAlert’s portable GPS tracking is ideal for subcontractors vehicles. If you don’t want to start with an installed or portable device, then our iPhone Monitor application is available. Simply download from the iTunes store and start sending your location. Ideal if you have employees working in remote locations, if you want to track your employees location rather than a vehicles location, or if you simply want a cheaper route into GPS tracking. Reports include tracks and routes taken, activity and geographic alerts. 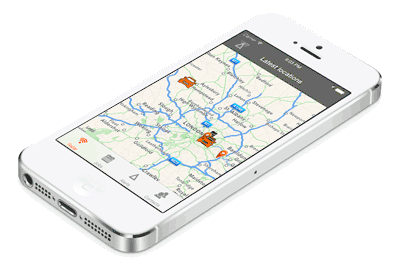 AutoAlert’s iPhone GPS tracking is ideal for lone workers! 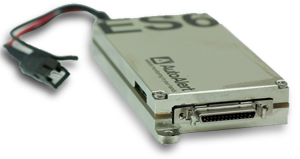 To buy a GPS Tracking device, first sign up with AutoAlert. This will create your account, you can then log in. Once logged in, click your name at the top right of the screen then select Add tracker.